battles cancer on the home front. Single or married, working or among the stay-at-home variety, moms have one of the hardest jobs out there. From diapers to drama, busted lips to broken hearts—mothers are especially equipped to handle all of this and everything in between. It’s all in a normal day’s work. For moms battling cancer, however, normal days can be few and far between. In fact, many mothers fighting cancer dream of having a normal day the way the rest of us dream of taking a trip to Europe. Due to the energy-zapping effects of cancer treatment, taking a trip upstairs can feel just as farfetched. When her primary jobs ought to be resting and healing, routine tasks like laundry, meal preparation, homework help, and grocery shopping seem suddenly like insurmountable obstacles to a mother undergoing chemotherapy. Jen Hoverstad is the mother of two young children, ages two and four. She was diagnosed with breast cancer last year, at the age of 34. A friend who was familiar with the work of the Helene Foundation saw her need for support and put her in contact with them. “The Helene Foundation does a good job of coming in and filling the gap of the women who are in the trenches dealing with cancer,” Jen says, although at first she was hesitant to accept the help. “There’s a mental hurdle you have to get over,” explains Hoverstad. “We often think that only people who need financial help need supportive help.” Working with a care coordinator, Hoverstad began receiving housecleaning services. “A lot of us forget about the day-to-day, and how draining the treatment is,” she says. Steve Meredith’s wife, Debby, lost her battle with cancer last year. The Helene Foundation not only assisted the Meredith family during Debby’s fight, but they continued their services even after her death. Normally very self-sufficient, Steve didn’t know what to ask for, but the family liaison at the Helene Foundation found some ways to help that were slightly out of the ordinary. Steve had quit his job to care for his wife, and expenses, like sports league fees, seemed out of reach. The Helene Foundation covered the cost, and assisted with meals, allowing a little bit of normalcy back into their lives. The foundation is named for co-founder Daniel Davidian’s mother, Helene, who lost her battle with cancer in 2009. Together with his wife, Tracy, the Davidians wanted to honor the legacy of loving motherhood that Helene left behind. 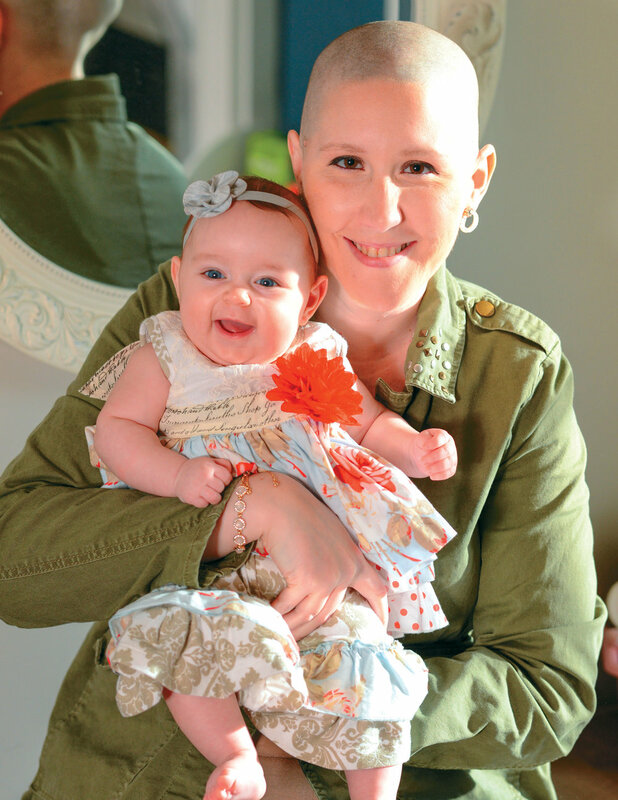 Providing services to lighten mothers’ loads has enabled more than 192 families in the Raleigh area to function as normally as possible in the midst of their cancer fights. Partnering with local businesses, the Helene Foundation provides help with housecleaning, meals, transportation, childcare, and tutoring. If you’re interested in the work the Helene Foundation does, or if you are interested in offering support, please visit HeleneFoundation.org.